Do we have to "declare a major"? I sold all my WWI kits a few months back, then got sucked in for the WNW D-7. I'm not sure what you mean Bill. In other words, do I have to declare the kit I'm building, do a build log, or just show up before the end with some photos of the finished plane and say "I'm HERE!!!" You don't have to 'declare' the kit you're building, but it definitely requires a build log! No queue jumping. 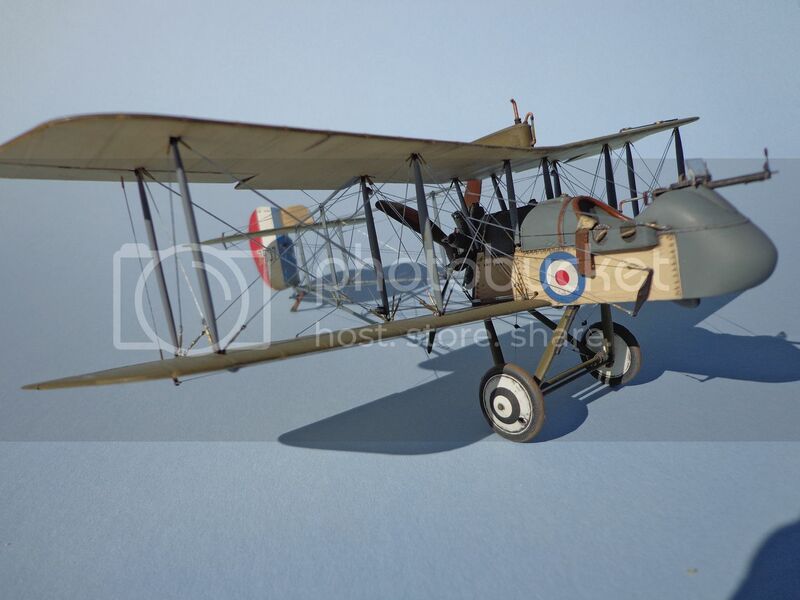 I've been lurking for a while but i've been drawn to the forum due to the enthusiam shown towards Great War aircraft, which are the only things I build these days. Currently I'm just rigging up my DH2 then I'd like to enter the GB with probably a Hannover (frisket film on standby), but maybe a Bavarian Albatros with a start date most likely around the end of the month. You're most welcome to join the GB. Looking forward to your submission! Hi to everyone, new guy here. Have visited and viewed the forums for a few years now in fact, but I recently became enthusiastic with the Great War fighters and when I came accross this forum, ............... well I had to sign on. As per the stated rules, my WNW Pfalz D.XII is well past the entry stage, but when it is finished I will be getting another (not sure which) from WNW and enter it. Been modeling for years, but this is my first real WWI attempt. Almost a completely different approach in the fuselage build, and I'll go about it a little differently on the next one, having painted, assembled, AND decaled everything before assembling the fuse. But that is why I'll hang around here and watch you all for better ways and means. I noticed a refference to "Bob's Buckles" is this a web site, and if so could someone provide me a link? I'm completely in the dark as for as rigging goes. Super nice guy to do business with! Lot's of tips and pointers on his page as well. He usually ships the day after you order and you have it in 4-5 business days. Bob's a member here, though not a frequent visitor. jerry, thank you for the link. I need all the help I can get! Does the subject your building need to have flown in the war, or just that the type did? Ie: if I built a 1020's British middle eastern service Ninak, would that ualify? Or does the sheme we chooseneed to be WWl as well?